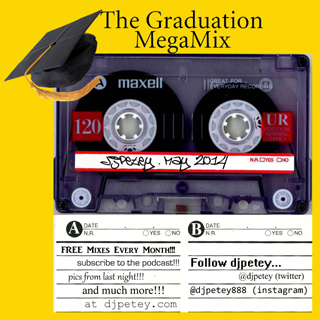 DJPetey – May 2014 Monthly MixTape – The Graduation Megamix – FREE DOWNLOAD | DJPetey.com!!! 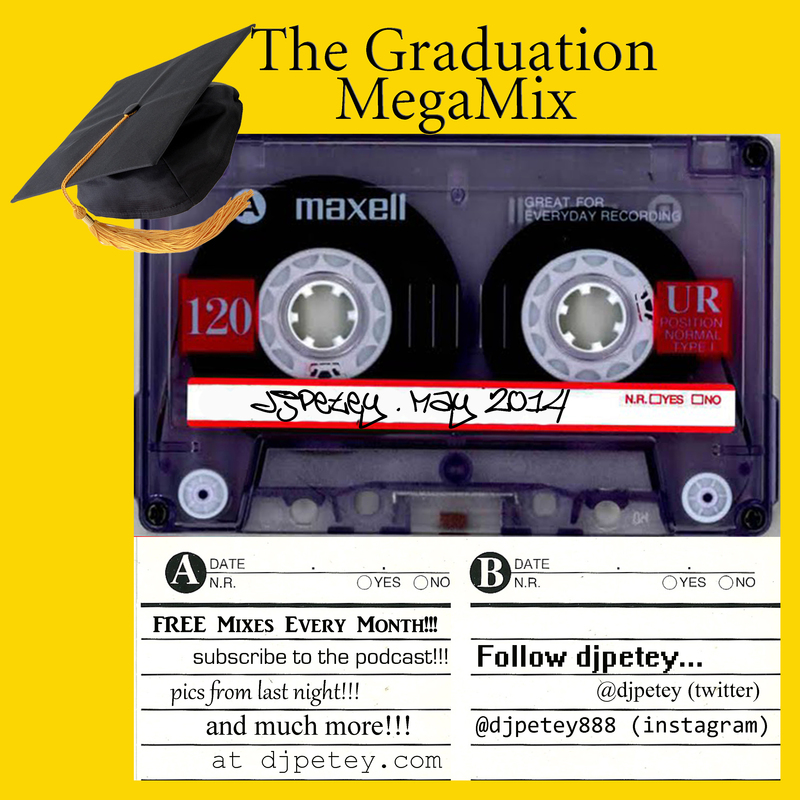 If you werent around with me last year, every year for graduation I put out a megamix of all of the biggest and best tracks from the past year. The goal here is to give you all an audio/mixtape / yearbook type thing to keep and reference if you ever need to go back and see what you were listening to for your 2013/2014 school year. Anyway, it got crazy good feedback last year, so I decided to keep the tradition going and do it again this year. This thing is PACKED with 56 songs all scratched and mixed up on one mix! Ive been looking forward to this for a few months now! Anyway, enough reading… Click HERE to listen / download the mix now (right click, save as to download – left click to listen now). If you are a podcast subscriber, check your itunes. It should be there! If you want a physical CD, I will have them with me (completely FREE) at all my club nights this week (while they last) so just come find me and ask for a copy! You can also click “read more” below if you wanna check out the track listing now. Ive loved every minute of this year with you all! Thank you for all of the love and support!